While all eyes were on the Alabama quarterbacks during the spring game, another position battle was brewing that could have an even bigger impact on offensive coordinator Lane Kiffin's offense. Junior T.J. Yeldon is fresh off back-to-back 1,000-yard seasons and is following the same script that he adhered to during his first two springs in Tuscaloosa. The 6'2", 218-pound native of Daphne, Ala., rushed 11 times for 95 yards and a touchdown, and added one reception for nine yards en route to his third straight Dixie Howell Award given to the MVP of Alabama's spring game, according to stats released by the university. To have a guy like that who can miss defenders, obviously not every play is going to be perfect but with a guy like that back there running the ball some big plays can spring up. We just wish we could have done a little bit better blocking to make those big plays happen today. But does his resume and perennially strong spring games guarantee him a starting spot this spring? Sophomore Derrick Henry burst onto the scene in the Sugar Bowl, rushing eight times for 100 yards and adding a 61-yard touchdown catch in the 45-31 loss to the Sooners. He carried that momentum all the way through spring, earning the praise of head coach Nick Saban according to Andrew Gribble of AL.com. However, he didn't exactly break out in the spring game, rushing eight times for 22 yards. Despite that lackluster close to spring, Henry is still Alabama's best bet at running back in 2014. 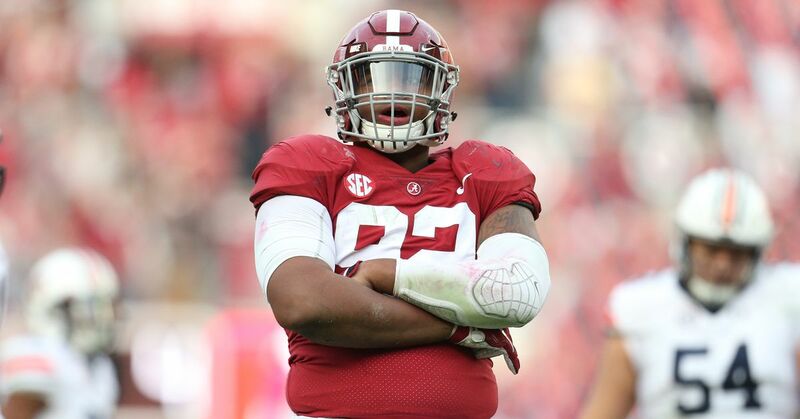 Just like former stars Mark Ingram, Trent Richardson and Eddie Lacy, Henry is more of a power back that thrives not only running north and south, but also behind an offensive line that gets downfield and punishes opposing front sevens. WJOX 94.5 host Matt McClearin puts into perspective just how hard it is to bring Henry down. Seems like Derrick Henry, guys just jump on him and hope someone else joins in and maybe they can bring him down. Yeldon can lower his shoulder and be a bruiser too, but he's at his best using that quick burst behind a zone-blocking scheme. 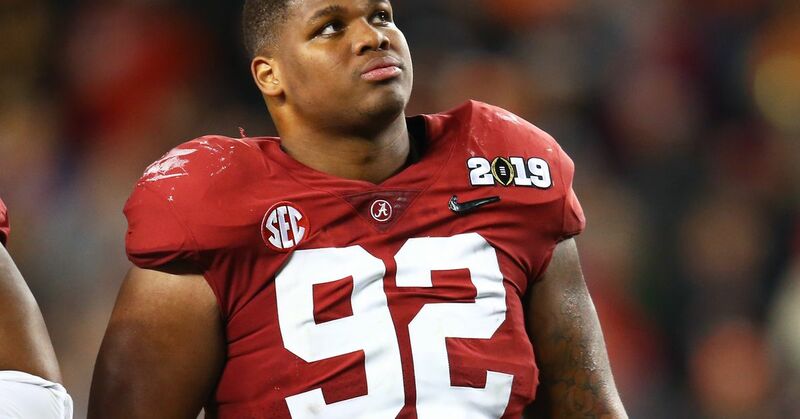 That led to some of the inconsistencies in the Alabama offensive line last year, including in the opener against Virginia Tech and the finale against Oklahoma. It's better suited in more of a power scheme, which is a perfect fit for Henry. Will that relegate Yeldon to a back seat? He'll still be a big part of the offense. In fact, this is not uncharted waters for Kiffin. In 2005 when he was the offensive coordinator at USC, both Reggie Bush and LenDale White topped the 1,000-yard mark using vastly different running styles to do so. While Bush grabbed the headlines and won the Heisman with 1,740 yards and 16 touchdowns, White was the bread and butter of that offense, rushing for 1,302 yards and a team-high 24 touchdowns. Henry shouldn't be "1B" in this offense though. He should be "1A." Alabama is at its best when it establishes the line of scrimmage, forces the defense to creep up and then takes the top off of the defense with play action. That was how Alabama won championships in 2009, 2011 and 2012, two of which were with first-year starters at quarterback. They'll break in another new starter in 2014 and would be wise to follow the same blueprint. In order to do that, Henry is the best bet at running back for the Crimson Tide. * Barrett Sallee is the lead SEC college football writer for Bleacher Report. All spring statistics are courtesy of the University of Alabama and all past college statistics are courtesy of Sports-Reference.com.